This event is sold out. It will be held rain or shine. Celebrate the weight! 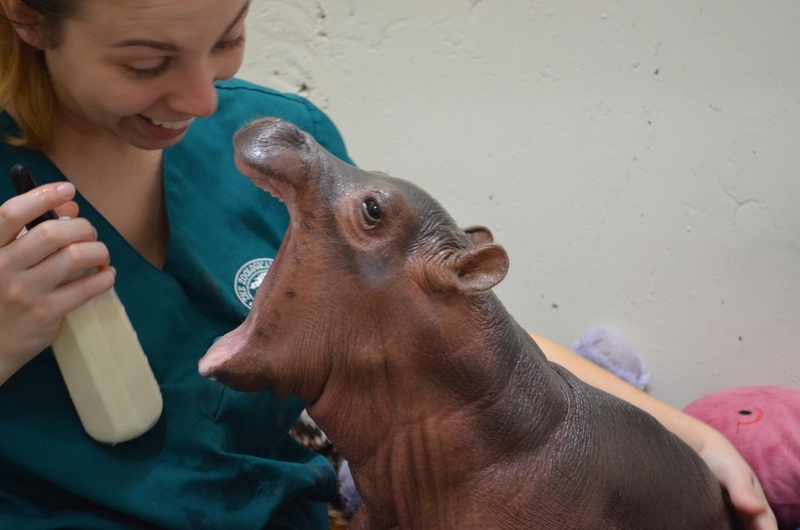 Help us cheer on our hometown hero, Fiona the baby hippo, as she weighs in at 1,000 pounds! This is a huge milestone considering that she weighed only 29 pounds when she arrived on January 24, 2017, six weeks before she was expected. Dress to impress! 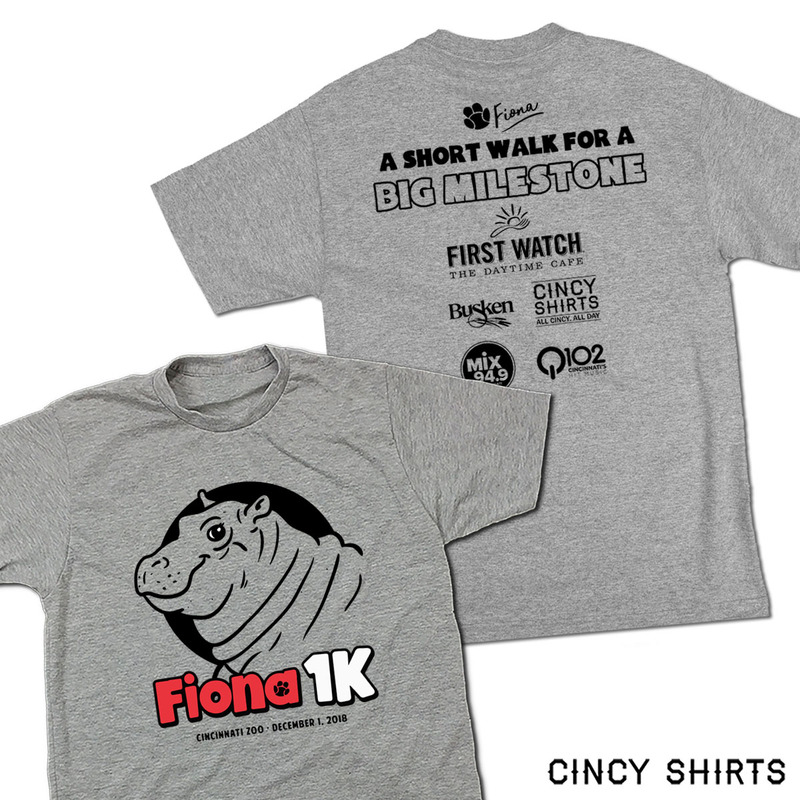 The non-competitive walk will take place on December 1 at 9 a.m. and is limited to 1,000 Fiona fans. It’s open to people of all ages, abilities, and sizes! Proceeds support the Zoo’s More Home to Roam capital campaign. Light breakfast fare courtesy of First Watch, including coffee, hot chocolate, mini-muffins and fruit. In honor of Fiona’s birth weight of 29 pounds, registration will be $29. Check in to pick up your shirt and cookies between 8-9 a.m. The parade-style walk will begin and end in Vine Street Village. Keep your eyes open for special animal encounters! Admission & parking is included with the registration fee. After the walk, Fiona merchandise will be available in the Zoo’s gift shop. 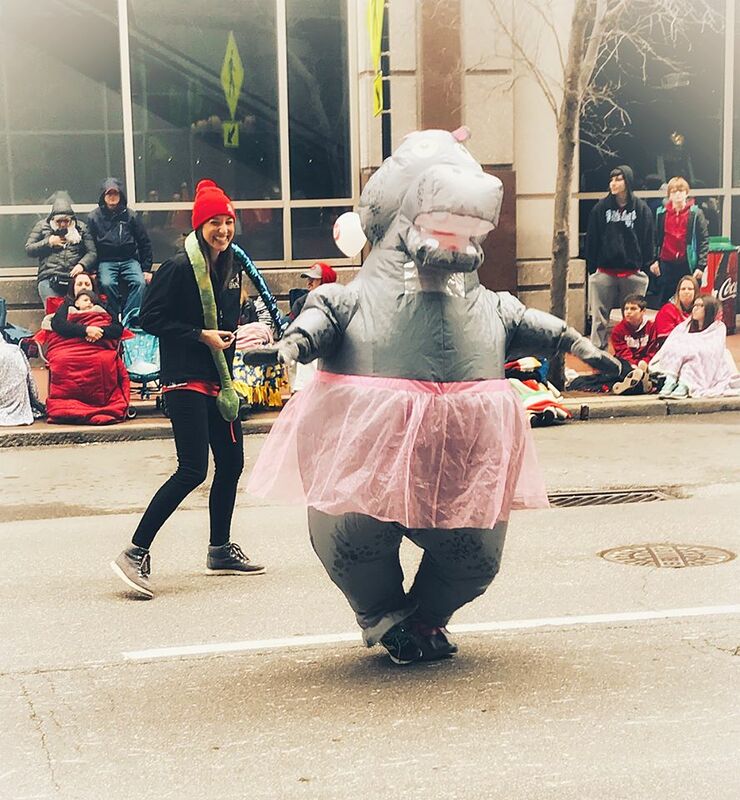 Flaunt your Fiona fever by wearing Fiona gear or fun hippo-themed apparel! Walkers wearing the most impressive Fiona fashions will be presented with Fiona-themed prizes. Temperatures must be 45 degrees or warmer for Fiona the hippo to be outside. 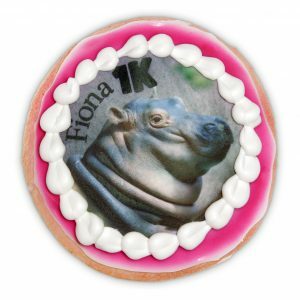 Purchase limited-time only Fiona 1k cookies from Busken Bakery between Nov 7 – Dec 1! 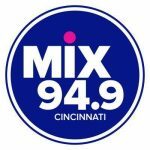 $1 from every cookie sold will benefit the Cincinnati Zoo. 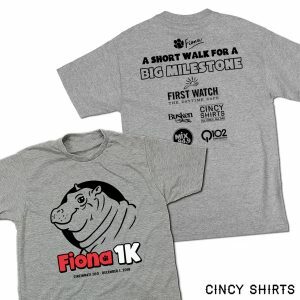 Cincy Shirts is creating the t-shirt for the Fiona 1k! Pick yours up before the 1k and wear it on December 1! 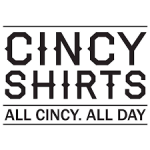 Packet Pickup will be on Thursday 11/29 and Friday 11/30, from 10am-7pm. Packets can also be picked up at the Zoo the morning of the walk. Shirt only for Fiona 1k registered participants. Registered individuals will be able to enter the Zoo at 8 a.m.
Fiona 1K shirts will be distributed before the walk starts at 9 a.m. Check In to pick up your shirt and cookies from 8-9 a.m. Zoo opens to the public at 10am. Zoo admission & parking is included with registration. Children 2 and under are FREE. Strollers are permitted. 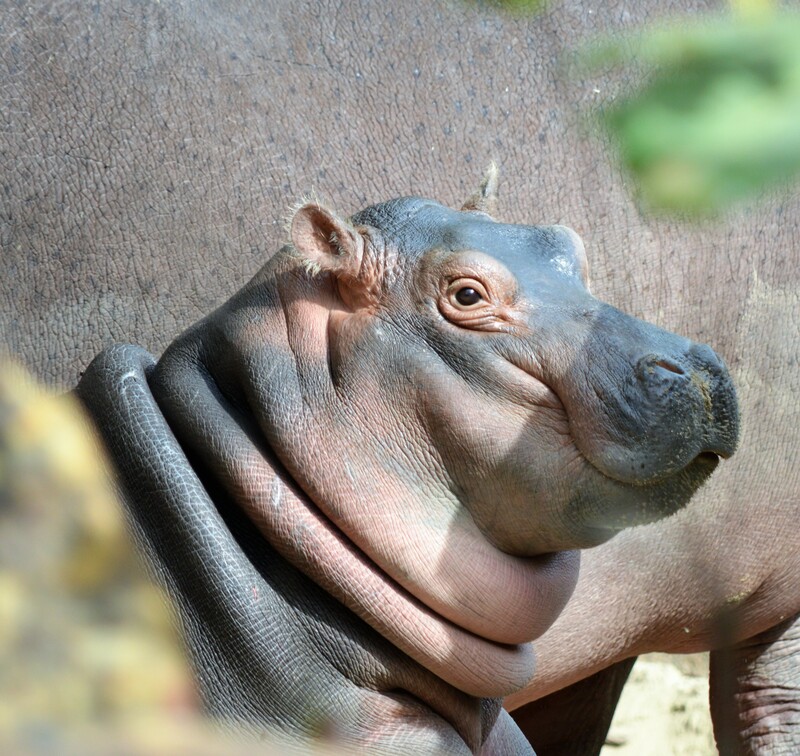 We encourage guests to wear your favorite Fiona gear or fun hippo-themed apparel! Walkers wearing the most impressive Fiona fashions will be presented with vouchers good for store credit.